Half way through our fortnight in Greece I’d planned a little stop over for myself and Mr Gypsie. 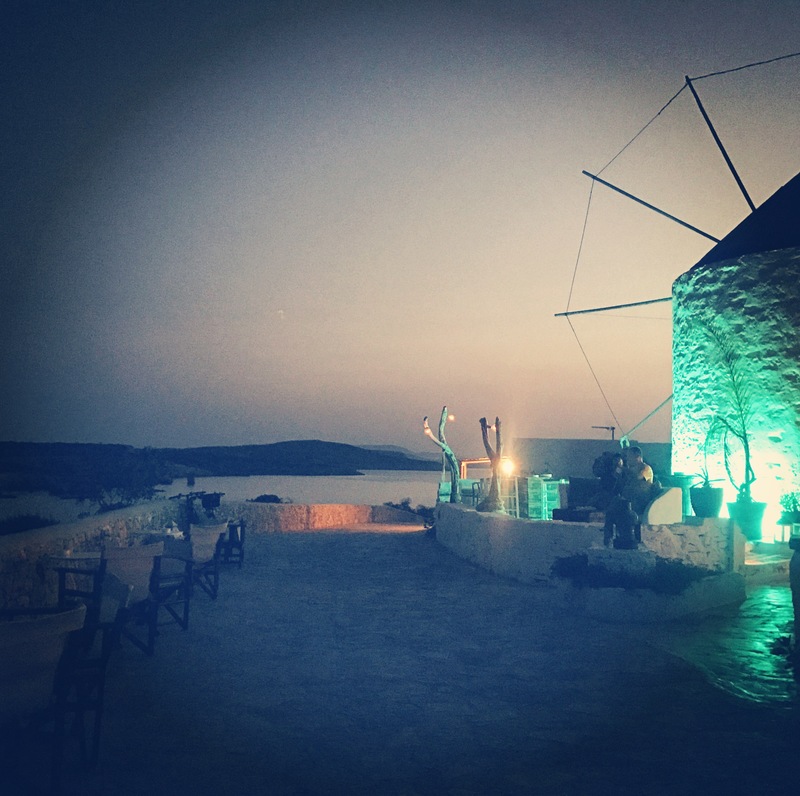 A break within a break, a sort of dirty weekend if you like, a romantic escape to Koufanisia for 1 night only. 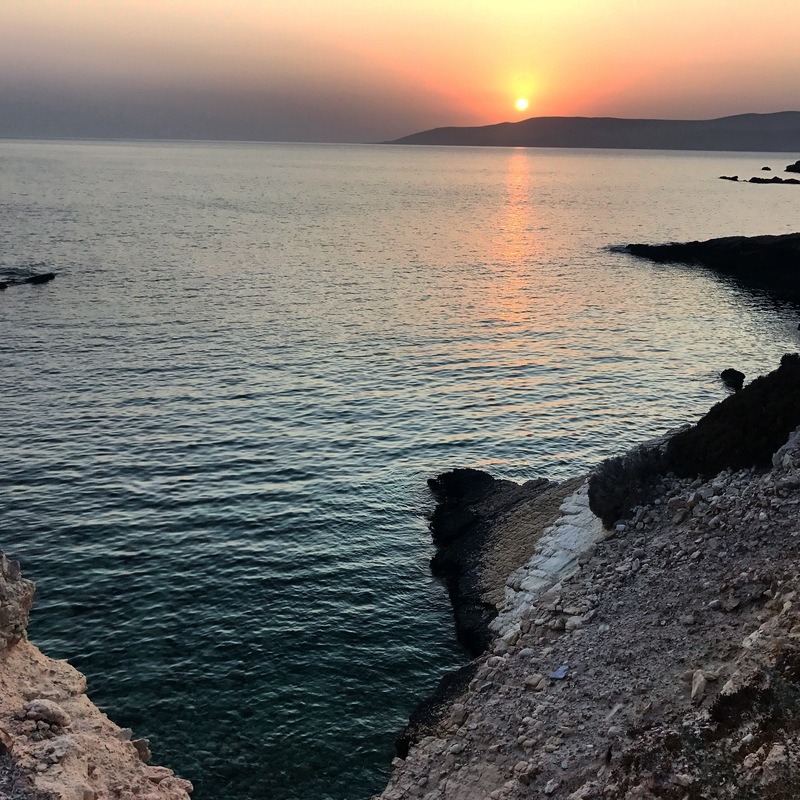 We spent some time of Koufanisia on our honeymoon a couple of years ago and had fallen in love with the peace and magic of this sleepy island. With only 200 inhabitants it holds this quaint beauty that other places can’t touch. 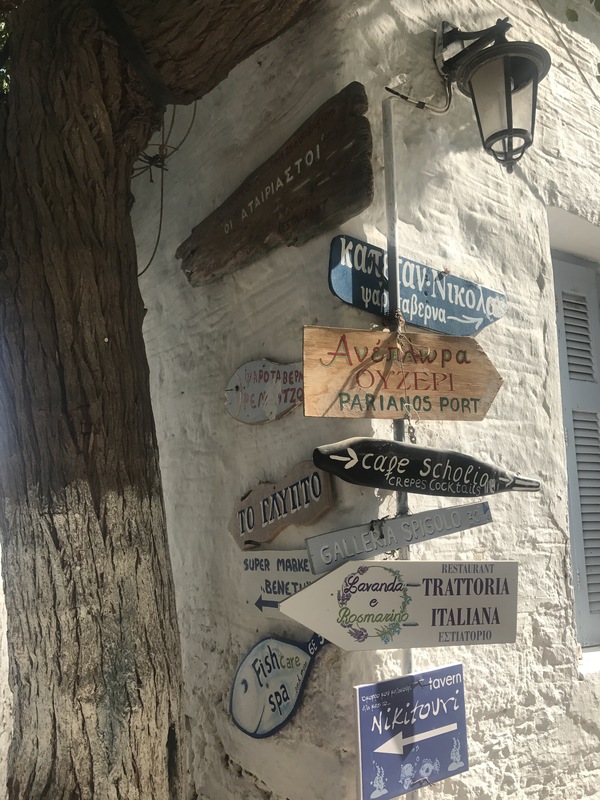 The main town is simply a hilled street with restaurants, bars where people sit in the street drinking wine and laughing, and a pharmacy, along with a few boutique jewellery shops for the tourists. Every evening three elderly Greek ladies sit in the street under the beautiful bright bougainvillea with their dogs, chatting as the tourists wander by and the local kids play. The local dogs run around the town, but they’re not strays, they simply take themselves out for an evening walk, before returning to their owners. This magical island is like the land that time forgot. 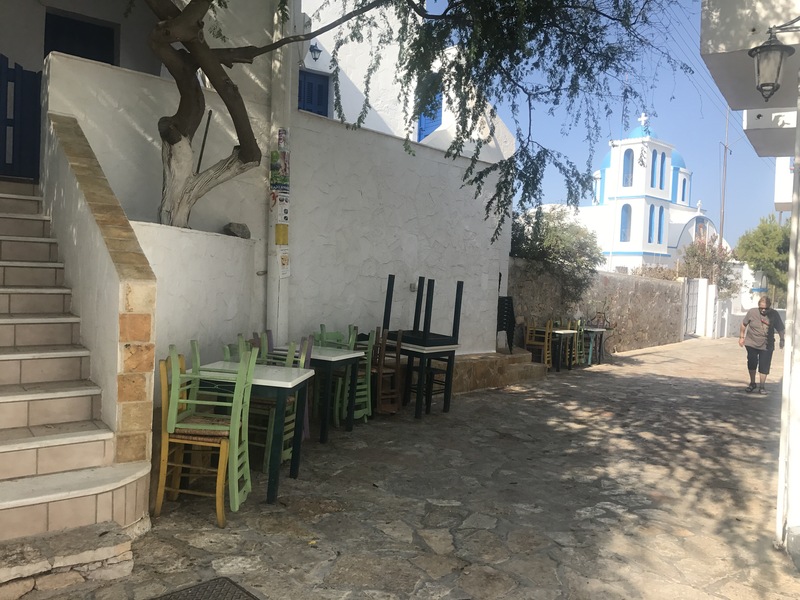 There’s quite a heavy back packer vibe there but it also attracts a wealthy crowd as it’s the perfect place to moor your yacht and watch the sunset in the windmill bar at the top of the island – if you’re lucky enough to have the money to own a yacht. I was so excited to be going back there and as the ferry pulled in and the ramp came down I instantly burst into happy tears to see my peaceful, magical favourite place. I have this terrible habit of trying to recreate things a second time round when we all know that experiences are unique and nothing is ever the same twice. 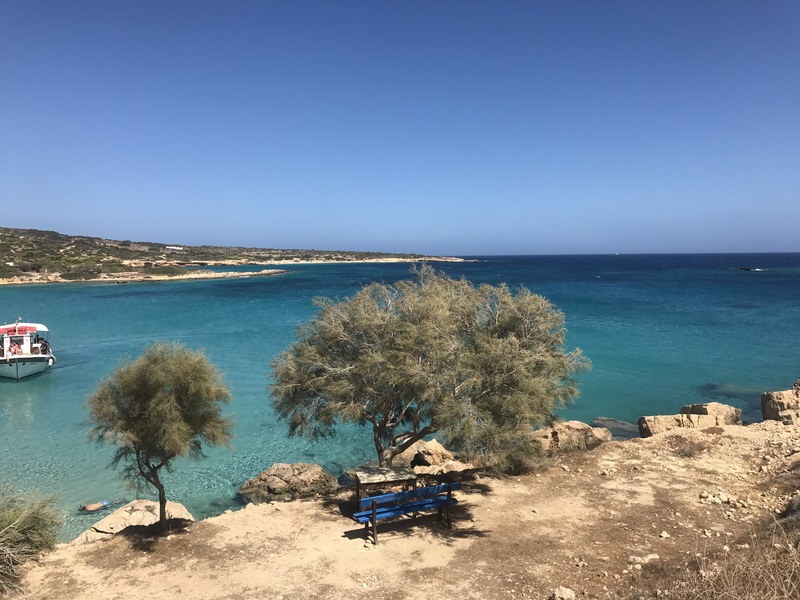 I was glad to be back in Koufanisia but couldn’t help but notice how much busier the once deserted beaches and coves where, several new hotels are being developed and bigger ferries are coming into the island. We walked around the sleepy town during the day and it still has the same magical peaceful vibe. We went to watch the sunset on the hill as koufanisia has the worlds most beautiful sunset, it was lovely, but I couldn’t recapture the magic of those honeymoon sunsets and I felt a bit flat, then it was up to the windmill bar for a dusky drink before wandering down to the town for dinner in one of the lovely restaurants. But it didn’t feel the same, now here’s the thing, you can’t plan magic, it just happens. 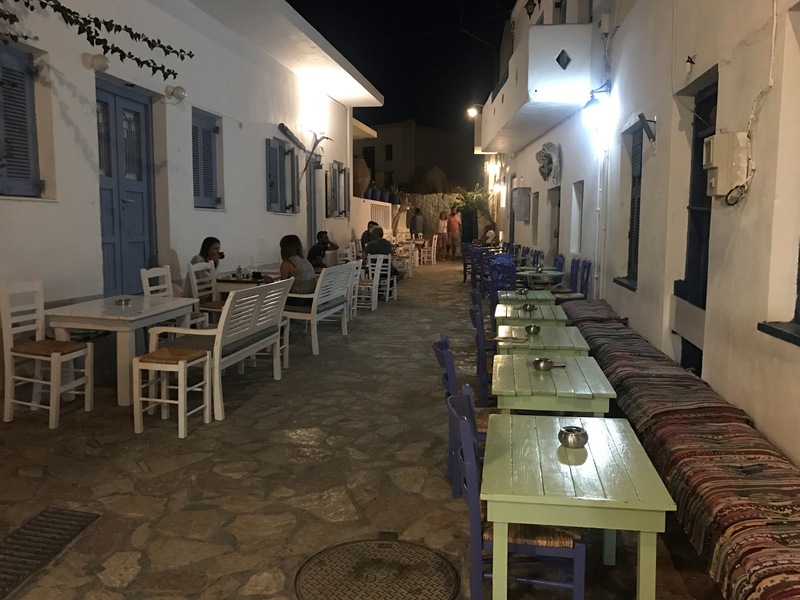 We had a nice night on koufanisia, although I was disappointed that it seemed quite so much busier than it had two years ago. There was something that I find hard to explain, when we had been there before koufanisia had felt like home, like peace, but now it didn’t feel like home anymore, it still had that same peace about it, but instead of feeling special it sort of felt it was bordering on trendy and not for me anymore. As time went on I began to feel like Koufanisia hadn’t lost it’s magic but maybe I’d lost mine, but it wasn’t that either. 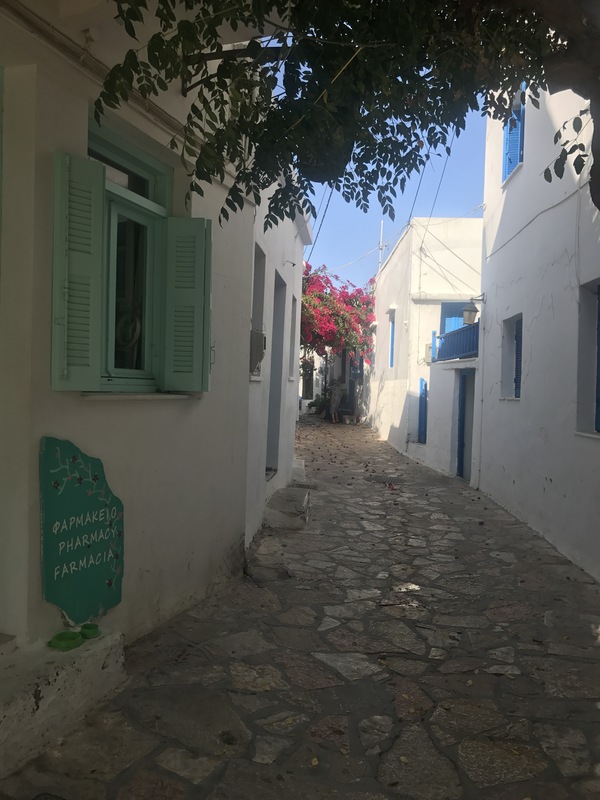 Koufanisia was sharing it’s magic with more and more people, more and more people discovering that magical peace that I found when I was there 2 years ago. But the island didn’t feel like home anymore. I felt like I was trying to recreate a moment in time that couldn’t be recreated. I totally get where you’re coming from (: you’re definitely not alone in those feelings. Beautiful place though and such lovely photos!